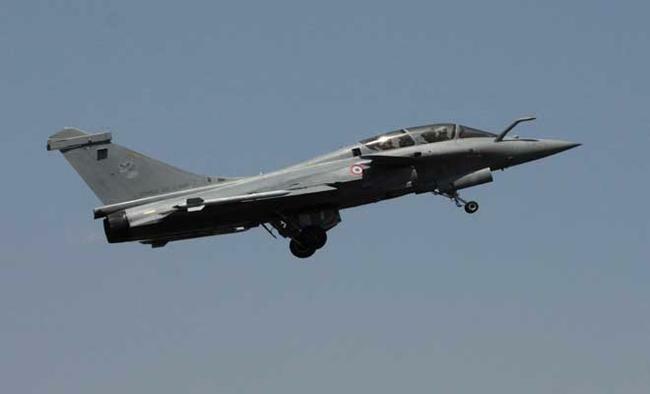 New Delhi: Amid the raging controversy over the Defence Ministry's procurement of the Rafale fighter aircraft from French firm Dassault Aviation, a senior Swedish official has said that his country's firm Saab, in its Gripen aircraft, has the requisite experience to contest for the upcoming Indian deal for manufacturing 110 new fighter jets under the Make in India programme. "I know that Saab is interested, they want to be a part of this procurement," Teppo Tauriainen, Director General for Trade in the Swedish Foreign Ministry, told IANS in an interview here. "They think they have something good to offer that will be of interest to India," Tauriainen said. "They, of course, know what the expectations of the government is in terms of local production and cooperation with a local partner. "India is expected to select by the end of this year one fighter aircraft that will be manufactured by the private sector under the Make in India programme for supply to the Indian Air Force. The Saab Gripen will be contesting with the likes of the Russian MiG 35, Dassault Rafale, Eurofighter Typhoon, Boeing F/A 18 and Lockheed Martin F-16 for the upcoming deal.While MiG has already said that it will have state-owned Hindustan Aeronautic Limited (HAL) as its local partner, Indian companies like Tata, Reliance Defence, Mahindra and Adani are in the fray for local partners in the project that is expected to be worth over $20 billion (Rs 1.44 lakh crore). Tauriainen said that for Saab, contesting for the deal will be nothing new as it has signed a similar deal for Gripen with the Brazilian government with Embraer as its local partner. "I have myself visited the Brazilian partner, Embraer, and seen there are a lot of spin-offs locally in the Brazilian economy from this fighter jet deal," he said. "So, I think for Saab, as a company, it won't be unusual to do it the way the Indian government wants it to happen." During his visit to Sweden in April this year, Prime Minister Narendra Modi had said that defence and security have emerged as an important pillar of the India-Sweden bilateral partnership. "Sweden has been a partner of India in the defence sector for a long time. I am confident new opportunities for cooperation in this sector will arise in the future, especially in defence production," Modi said. During that visit, an India-Sweden Partnership was also announced with a fund of 50 million Swedish kronor (around $5.6 million) for innovation cooperation in the fields of smart cities and sustainability.Asked what steps have been taken in this connection, Tauriainen said that the dialogue for these projects has started though none of these projects have started operating. "But we have come quite far to identify areas where we think there is a potential to do cooperation," he said. He said that sustainable technology is a broad area and is very much related to how cities are built in terms of transport, energy, waste and waste water. "There we have some interesting experiences and I hope that is of relevance to India," Tauriainen said. "Some technologies we have already tested in Sweden. Other technologies will have to be adapted to Indian conditions," he added. In Sweden, waste is actually used to generate power and only one per cent of the waste goes to the landfill.Asked about the presence of around 180 Swedish companies in India and their role in the Indian economy, Tauriainen said these are doing good business despite "some limitations". "They wouldn't mind if those limitations are taken away. But they are interested in the Indian market and most of them are interested in expanding," he said.